It Seems to us That the Users Like WordPress Footnote and Bibliography. WordPress Footnote & Bibliography Can Be Constructed Without Plugin. Here is a Reference Article on Footnote, Bibliography, Style & Markup. What peoples usually say footnote is actually Bibliography. These are part of Scholarly Publication or Academic Publications. We wrote about how to use WordPress for academic journal. We have a guide on creation of table of contents in WordPress fully manually. One should have a look on both of the articles. They are related and we will not repeat telling again and again the same stuffs. Normally, one need Footnote for adding some extra information after the end of the document. Whereas, Endnote is for adding some extra information at the end of the article. Bibliography, Reference Lists are different type of Footnote. 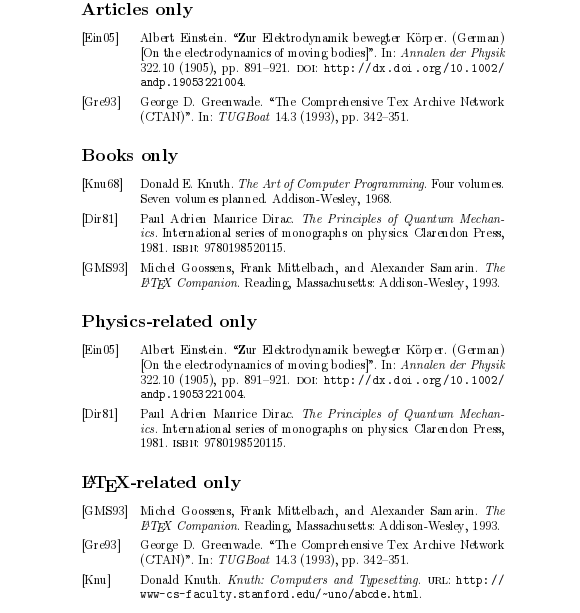 Usually Footnote/Bibliography/Reference is achieved be putting sequential series of numbers either in brackets or slightly above the line of writing or printing (superscript) against a sentence, word or paragraph, followed by a citation of the source at the bottom of the page with the same number. It should be numerical and chronological. The advantage of these is that, the reader can simply discover the source of a reference which interests them, it avoids inline hyperlinking towards another website (which can distract the user), printed sources can be mentioned etc. Rules for the formatting of the detailed references follow the same principles as for the reference lists for the ‘author, date’ system. In other words – Bibliography is a detailed information of the source which peoples usually say WordPress Footnote. Hamilakis, Y., Pluciennik, M. & Tarlow, S. (2001). Academic Performances, Artistic Presentations. Assemblage, 6. www.shef.ac.uk/assem/issue6/art_web.html (accessed 08/07/02). As like we have a jQuery Plugin about which we wrote in guide on creation of table of contents in WordPress, we will get a smooth scroll effect with only using few markup. This link has mouseover text. This is main body of my content. I have a footnote link for this line 1. Then, I have some more content. Some of it is interesting and it has some footnotes as well2. You can click the 1 or 2 hyperlink to go to the footnote section and after going there, click the ↩ icon link to scroll back here. As our adjustment of pixel is not for these works, for jQuery plugin, you will get scrolled few lines below. Thats not big matter. Without the jQuery plugin the smooth effect will be absent, otherwise only HTML will work fine. This is main body of my content. I have a footnote link for this line <a id="footnote-1-ref" href="#footnote-1" title="The United Nations Children’s Fund (UNICEF)."><sup>1</sup></a>. Then, I have some more content. Some of it is interesting and it has some footnotes as well<a id="footnote-2-ref" href="#footnote-2" title="The United Nations Children’s Fund (UNICEF)."><sup>2</sup></a>. I have a footnote link for this line <a id="footnote-1-ref" href="#footnote-1" title="The United Nations Children’s Fund (UNICEF)."><sup>1</sup></a>. Then, I have some more content. Some of it is interesting and it has some footnotes as well<a id="footnote-2-ref" href="#footnote-2" title="The United Nations Children’s Fund (UNICEF)."><sup>2</sup></a>. <li><span id="footnote-1">Here is my first footnote.</span><a href="#footnote-1-ref" title="View reference 1 in text">&#8617;</a><span class="cit-metadata"><cite> The United Nations Children’s Fund (UNICEF). <span class="cit-source">India Country Office. India’s story of triumph over polio.</span>UNICEF, <span class="cit-pub-date">2014</span>: <span class="cit-fpage">6</span>-<span class="cit-lpage">9</span>. <li><span id="footnote-2">Here is my second footnote.</span><a href="#footnote-2-ref" title="View reference 2 in text">&#8617;</a><span class="cit-metadata"><cite> GHOSH, A. <span class="cit-source">"<a href="https://thecustomizewindows.com/2016/05/twitter-not-sending-verification-code-worst-support/" target="_blank">Twitter Not Sending Verification Code & Worst Support</a></span>" The Customize Windows, <span class="cit-pub-date">2016</span>: <span class="cit-fpage">n. pag. Web.</span>-<span class="cit-lpage">16 May 2016.</span>. 1. Twitter is Bad by Abhishek Ghosh. 1. <a id="fn1" href="https://thecustomizewindows.com/2016/05/twitter-not-sending-verification-code-worst-support/" title="Workshops and Classes by Lorelle VanFossen. ">Twitter is Bad</a> by Abhishek Ghosh. We have not checked their matters. We only informed you. Here is my first footnote.↩ The United Nations Children’s Fund (UNICEF). India Country Office. India’s story of triumph over polio.UNICEF, 2014: 6–9. Here is my second footnote.↩ GHOSH, A. “Twitter Not Sending Verification Code & Worst Support” The Customize Windows, 2016: n. pag. Web.–16 May 2016.. This Article Has Been Shared 9635 Times! Optimize WordPress Blog from the database to perform smoothly either manually or by using very easy to use WordPress Plugins. 7 Tips For Writing Better Articles For Blog brings motivations for blogging by article writing for creating really helpful website that will last for decades. Proper Method to Update WordPress is a consolidated guide to manual or automatic update WordPress. If you follow this methods nothing will break after update. Cite this article as: Abhishek Ghosh, "WordPress Footnote and Bibliography in HTML5," in The Customize Windows, May 16, 2016, April 23, 2019, https://thecustomizewindows.com/2016/05/wordpress-footnote-and-bibliography-in-html5/.